I’m not a diehard fan of Sherlock Holmes but have enjoyed the two novels and handful of short stories written by Arthur Conan Doyle that I have read. I didn’t actually read any of them until around five years ago, the problem? Put simply like a lot of people I came to the character via the screen not the page. This is possibly because there have been so many adaptations (beating even Dracula and Robin Hood he is possibly the most portrayed movie character ever), but despite the numerous incarnations I have never been satisfied with the film and TV versions. I have always found them to be just a little dull and full of undeserved self-importance. The mixture of first person narration (via Holmes’s friend and biographer, Dr. John Watson) and third-person omniscient narrative is an important part of books giving an insight into Holmes from the point of view from an everyman. This doesn’t always translate to the screen. There is also an issue of setting; whether on television or the big screen of the cinema, the Victorian setting is rarely convincing, probably because of financial constraints but more likely a twee vision of the past. 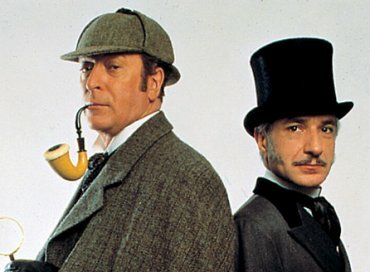 There have been attempts to make original movies based on the characters like Young Sherlock Holmes (1985) and Without a Clue (1988). They are both great ideas but the execution is only partly successful. Now after years of been under-whelmed by adaptations there have been two successful takes on the story in a short space of time. 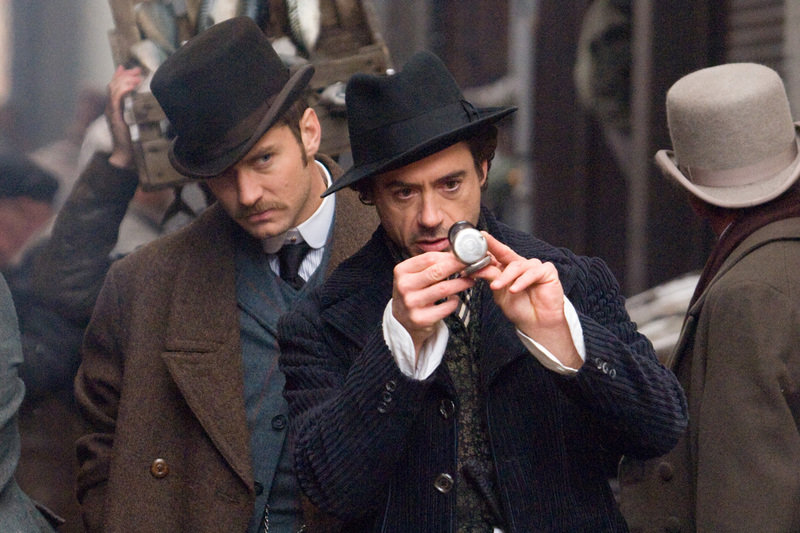 Firstly, the 2009 film Sherlock Holmes directed by Guy Ritchie and starring Robert Downey, Jr. and Jude Law as Holmes and Watson. Then a year later came the BBC TV show Sherlock created by Mark Gatiss and Steven (Doctor Who) Moffat, with Benedict Cumberbatch as Holmes and Martin Freeman as Watson. Changing the setting from the Victorian era to the present day is the shows biggest risk but turns out to be the greatest accomplishment. 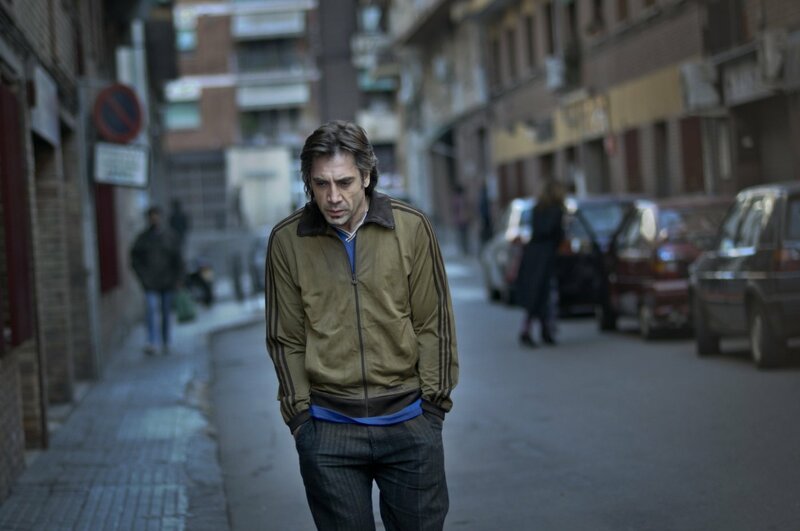 The reason it works so well is the way it plays with the character within its modern setting. How he interacts with modern society and technology is both interesting and amusing. It is also fun to spot the original plots and ideas that are shoehorned into the modern stories, some more obvious than others. 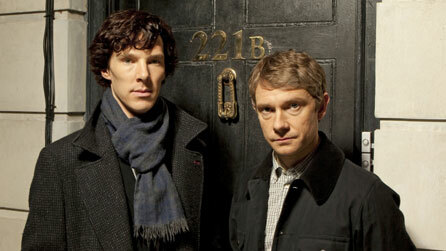 The second (sadly too short) series of the TV show premiered just a couple of weeks after the release of Sherlock Holmes: A Game of Shadows (2011), the sequel to the Guy Ritchie movie. 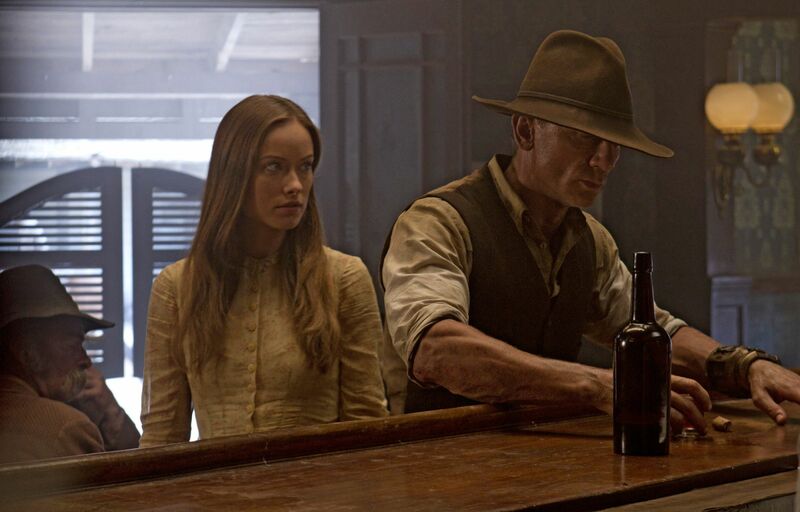 So why do these two adaptations work so well when previous incarnations have been so dull and predictable? Firstly I think I have to say diehard Sherlock Holmes fans will probably hate them and that is why I think they are so good. The biggest criticism of films based on books that I tend to hear is that they aren’t faithful to the book. What people who say this forget or aren’t willing to admit is that books and movies are very different mediums and therefore movies shouldn’t slavishly follow the books, especially when they are telling hundred year old stories that are well known. A perfect example of this is Christopher Nolan’s take on Batman. Taking parts of the plot from graphic novels (notably Batman: Year One) but essentially creating a new story from the mythology of the character. The same is true of James Bond, although there have been many missteps along the way, the story has remained up-to-date and relevant long after Ian Fleming’s original stories had dried up. The thing that both the new film and TV incarnations have in common is a perfect balance of when to be silly and when to be serious. That balance is different in both cases in keeping with the dynamic of the version but works equally as well. As does the casting that is perfect in both. Getting the same things right also means they get a lot of the same things wrong. The constant bickering and reconciliation between the characters is overdone as is the overplayed bromance. These in themselves are minor criticisms but could get worse if they string things out for to many sequels/seasons. They also get the supporting cast right with Una Stubbs, Rupert Graves and Mark Gatiss is the TV show, Rachel McAdams, Kelly Reilly, Eddie Marsan and Geraldine James in the films. The films also boast Mark Strong and Jared Harris amongst their villains. 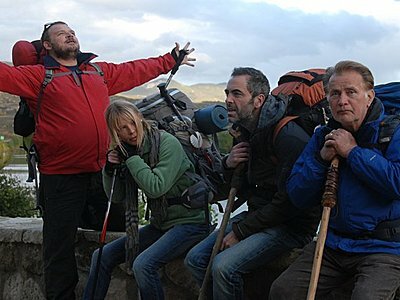 If you haven’t seen the film or TV show because of any preconceptions, I hope I have convinced them to give them a go. 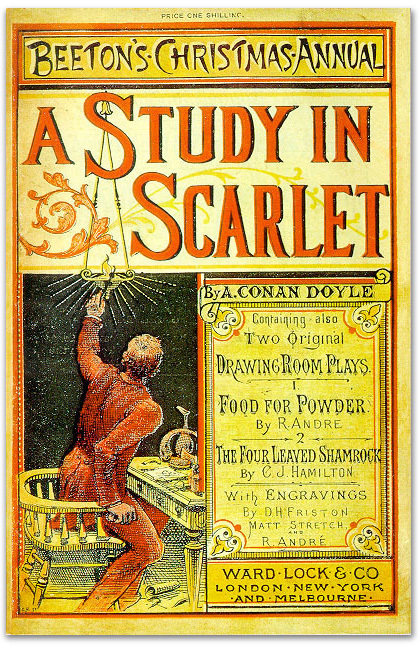 Similarly, if you are a fan of either version but haven’t read any of Sir Arthur Conan Doyle’s original stories, why not start at the beginning and pick up a copy of A Study in Scarlet (first published in 1887) and start reading.